It does not matter how many home security systems are in place if a criminal or fraudster can get in just by ringing the doorbell. Homeowners must bear in mind that not everyone who comes to the door is genuine. Bogus callers come in many guises: they might pretend to be legitimate salesmen, council officials, the police, or say they are there to read the gas meter. Just because a caller is wearing a uniform it does not necessarily mean they are genuine. Bogus callers can be men, women – or even children. They might be smartly dressed and well-spoken or look hungry and poor. There is no way of telling just by looking at someone whether or not they are genuine. The elderly are especially at risk from bogus callers - but this does not mean that everyone else can afford to be complacent. There are some basic tips that should be followed whenever someone unexpected calls at the door. If someone rings the doorbell the door should be kept locked until they have been identified. If there is a spy-hole or a nearby window the occupant should look out to see who is there before answering the door. If the caller is not recognised they should be asked to identify themselves before the door is opened. If there is a security chain this should be kept on if the occupant decides to open the door. Callers should never be allowed in until their identification has been checked and verified. Even if a caller is expected – for example someone might be expecting a plumber – checks should still be made that they are who they say they are. Most legitimate callers will be able to provide some form of official identification which should have their photograph on it and provide details of the company they work for. 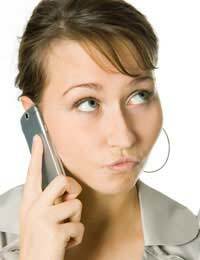 The company can be telephoned for confirmation that the caller is who they claim to be. However, any telephone number on the identification card provided by the caller should not be used in case it is a false number. Utility companies can now set up a pre-arranged password with customers which a genuine caller can use to identify themselves. A bogus caller may try to distract the householder or lure them out of their home. For example, they might say that they have noticed slates falling off a roof or that there is a problem with a garden fence. This could be a ploy to give the bogus caller’s colleague a chance to get into the property without being noticed. Those who come to the door with a hard luck story asking to borrow a couple of pounds. Some may appear to be legitimate tradesmen touting for business. Anyone turning up at the door offering to re-do someone’s drive or replace the windows is unlikely to be offering the best deal. Those who intend to steal from the homeowner. They can also be known as distraction burglars and will use any ploy to trick their way in. Salesman trying to get the homeowner to sign up for something they do not need or want, and may not be able to afford. Dealers offering to buy things from the homeowner for cash – they will almost undoubtedly be looking to exploit naivety by paying too little for valuable items. People pretending to be from utility or other companies, or from the council. Genuine meter readers will always be happy to show their identification before being let in. Officials from water companies never need to get into homes to check for leaks - and would only visit by appointment. People should not feel embarrassed about checking callers’ credentials, nor should they allow themselves to be bullied into letting someone into their home. A genuine caller will not take offence at having their identity confirmed. Bogus callers will use every trick in the book to try to get over the threshold; this may range from a charm offensive to aggression. If there is any doubt at all about the caller’s identity they should not be let in.